Coming off a disappointing loss to Utah on Wednesday night, USC(13-10,6-4) will look to quickly rebound against the Colorado Buffaloes(13-9,4-6) at home on Saturday. 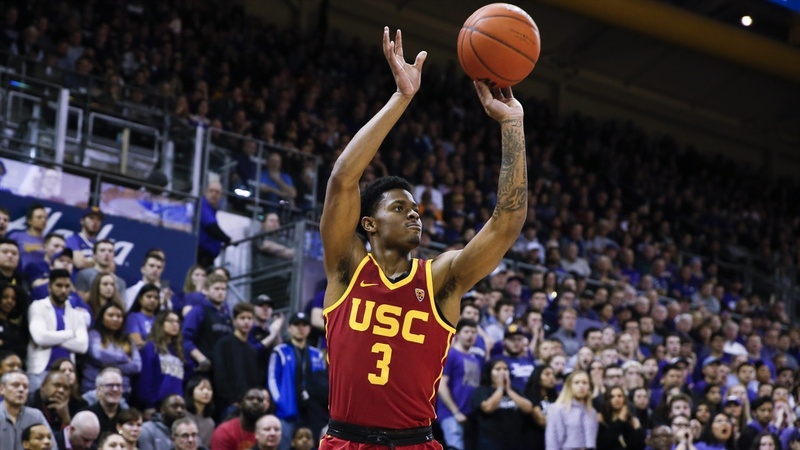 USC was plagued all night by poor offensive execution against the Utes. They finished the game with just 12 total assists, four below their season average of 16. The Trojans are 12-0 when they register 16 or more assists in the game and will look to do so in their next game. The Colorado Buffaloes will come into Troy on Saturday riding a 2-game winning streak, including a convincing 84-73 win over UCLA. In that contest, the Buffaloes caught fire from beyond the arc, hitting 13-24 attempts from 3, a surprising outcome considering the “Buffs” are ranked 11th in 3-point percentage(32%) in the conference. They were led by junior Shane Gatling, who poured in 28 points. Gatling who averages 10 points per game, is one of four Buffaloes who average double-figure scoring. Joining him are sophomores McKinley Wright and Tyler Bey, who both average 12 points per game, and 6’10 forward Lucas Siewert, who averages 11 points per game. Though they played extremely well in Westwood, Colorado has struggled on the road this season. Coach Tad Boyle’s unit boasts an 8-2 record in Boulder, but hold just a 4-6 record away from home. USC, on the other hand, has just one conference loss at home, and should come out with energy on Saturday after Wednesday night’s embarrassing performance. If the Trojans come out flat like they did on Wednesday, expect Andy Enfield to make immediate changes. He pulled starting point guard Derryck Thornton just 3 minutes into the Utah game for Elijah Weaver, who scored 5 of USC’s first 7 points. He also removed three starters in favor of the three freshman(Weaver, Porter Jr., Brooks) early in the 2nd half after the Trojans came out with lackluster effort then as well. This game will be televised on ESPNU at 7:00PST.